More Than Lights Music: SHOW ANNOUNCEMENT - MTL @ The Cabooze Friday, February 12th! SHOW ANNOUNCEMENT - MTL @ The Cabooze Friday, February 12th! 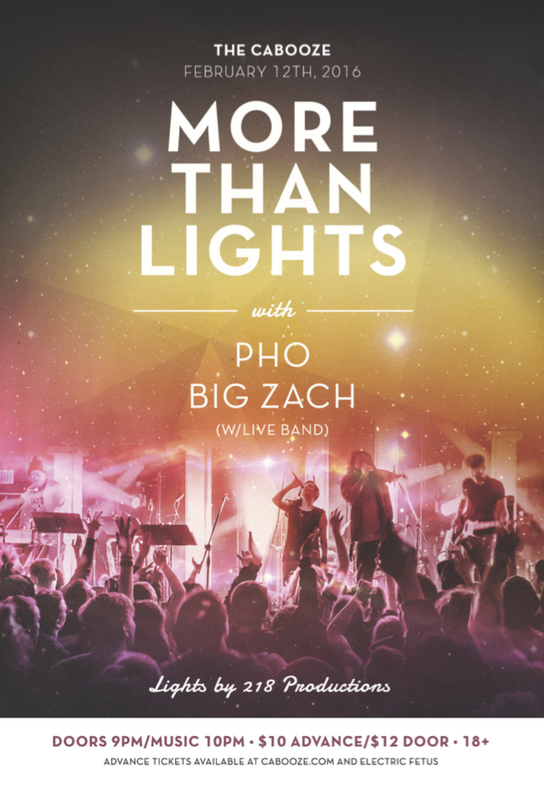 More Than Lights is currently in the middle of production on a new album, but would like to take a break from the recordings to play live with some of our great friends, PHO and former More Than Lights emcee, Big Zach! Be sure to check out Pho and Big Zach if haven’t already! Here are some videos! Big Zach (feat. Duenday, Olivia Spitz, & Corey Hess), "Flicker"
I was at this place last week. This is such a joy as a place for food! I had a beautiful time at venues in NYC. It reminded me of another center in Memphis, Tennessee. A beautiful, wonderful place that had excellent atmosphere.